This week's battle report was another practice game for my White Scars list that I was planning to take to Caledonian Revolution against Innes' Space Marines army. This game was played at my house, the first game I have had there in a long time. My warlord trait was fixed with Khan (giving me re-rolls for morale and pinning tests and Scout moves for my bikes and transports). My Librarian rolled on the Librarius table and got The Emperor's Wrath, Veil of Time and Fury of the Ancients. I'm not wild about Fury, but Veil of Time is a solid power and the Emperor's Wrath can be useful. This hobby Sunday comes to you on a Wednesday this week (madness, I know!). 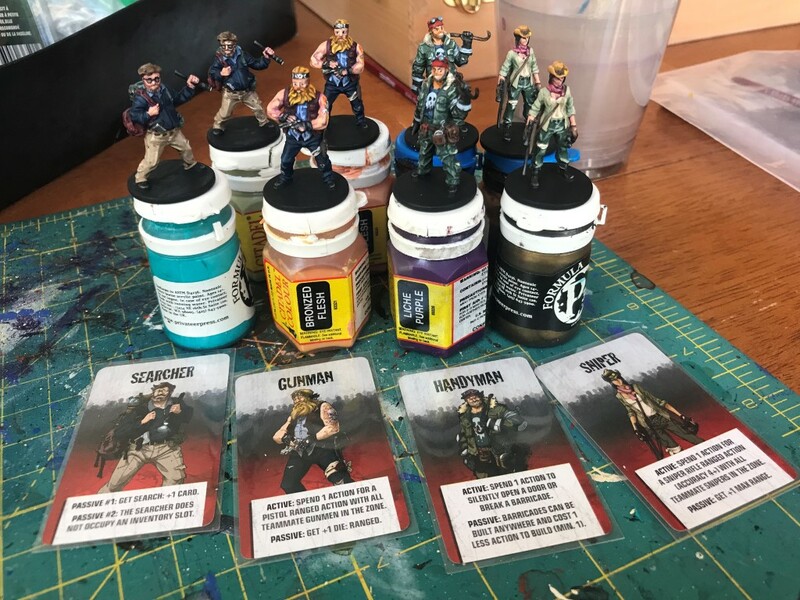 The reason for this is that I have actually been making a lot of painting progress over the past few weeks and getting several units completed in a single week. 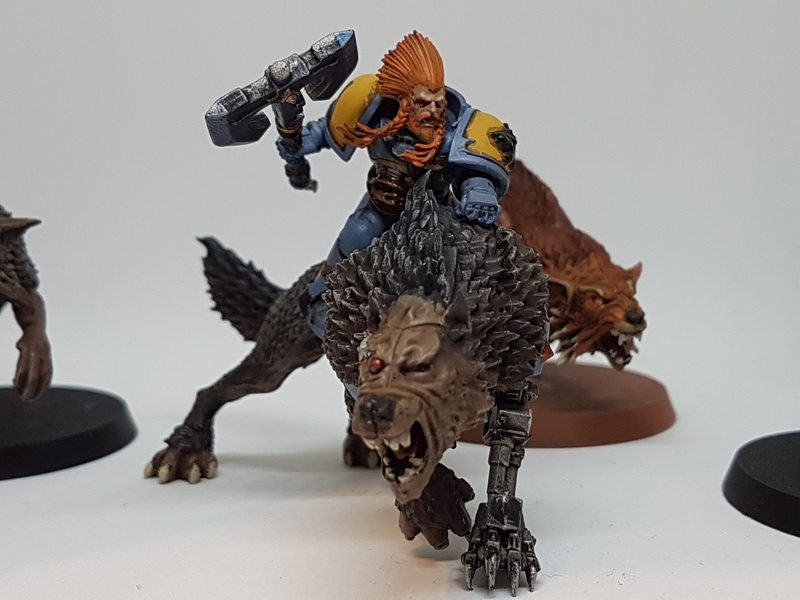 Rather than spread out the hobby Sunday posts of do them all in one big dump, I thought I'd add a couple of additional ones. The list submission deadline for Caledonian Revolution was Sunday night just gone by. I had finished painting my proposed army for it, but in a moment of madness, decided to swap out my Stormtalon for the new Stormhawk flyer to give me some added anti-air firepower. The tournament will not be using the Dogfight phase, but will be using the other rules from Death from the Skies (at least I think. The FAQ was not too clear and they didn't reply to my question on facebook). Given this, the Stormhawk would be my only source of skyfire, as the Stormtalon would now lose it. So this meant I needed to get the Stormhawk painted. 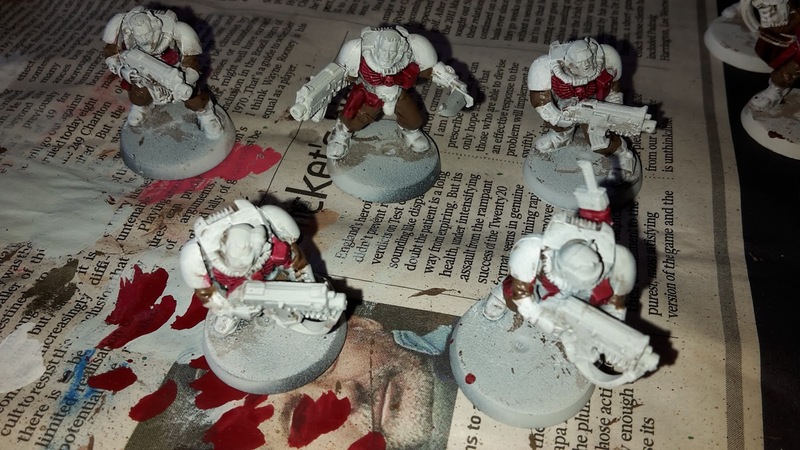 Fortunately, the weather was nice at the weekend (allowing me to undercoat it) and there were three games of football on Sunday that I could watch while painting. 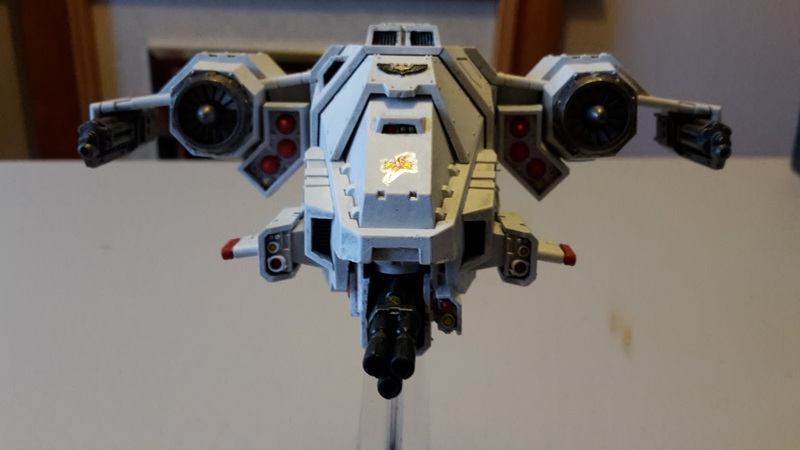 As a result, I managed to get the Stormhawk completed over the weekend. I had previously magnetised the weapons to allow me to use all the options. 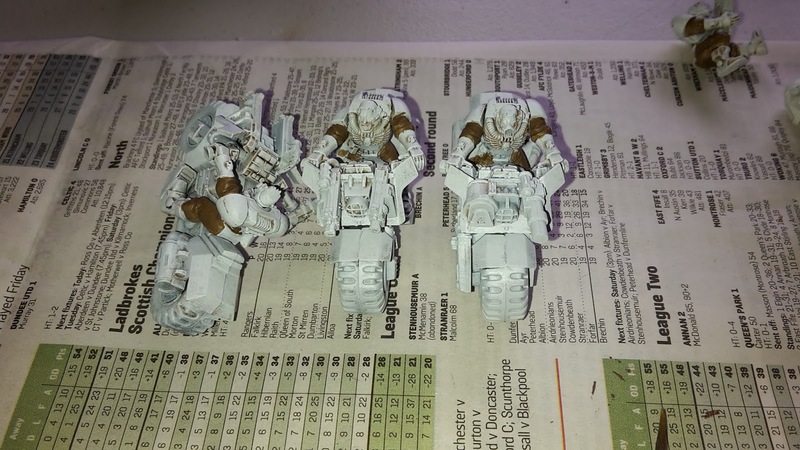 I started by undercoating the flyer in white (after remembering to cover my magnets in bluetack) and gave it a wash of Agrax Earthshade. I recently purchased a new Stormhawk Interceptor after picking up the Death from the Skies expansion. I really liked the look of the new model and the rules were also rather great. I decided that I would magnetise the kit to get all the available options on the flyer. One of the reasons for this is that it is actually quite difficult to choose between the Las-talon and Icarus Stormcannon. The Las-talon is a short ranged, two shot lascannon that is great for taking on vehicles or monstrous creatures. The Icarus Stormcannon on the other hand has Interceptor and Skyfire, great for possibly taking out enemy flyers before they have a chance to fire on the board and gets some big bonuses during the Dogfight phase. After looking at the kit and checking out a few online guides, it was actually surprisingly easy to magnetise the kit. I started by assembling the kit as detailed in the instructions. 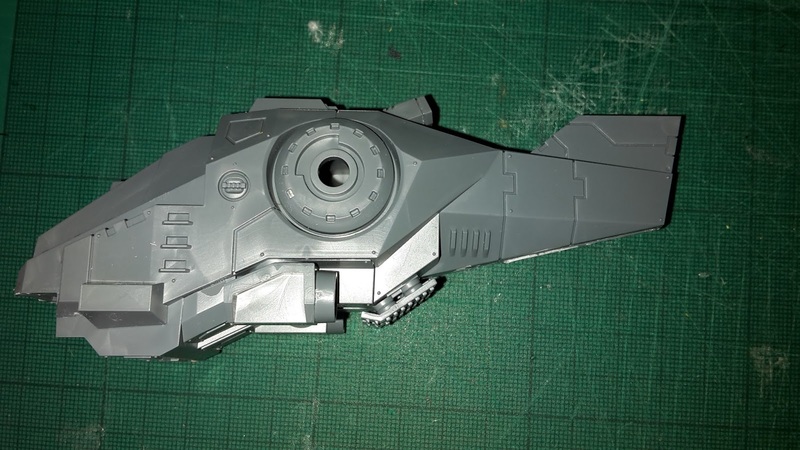 When it came to the tail section, I copied the Stormhawk conversion by Siph_Horridus over at the WeeMen blog. He had taken the top tailfin and moved it to the bottom after trimming the bottom fin. 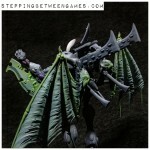 This gives the Stormhawk a much more streamlined look compared to assembling it in the regular fashion. I really liked this and it suited its role as a supersonic fighter jet. 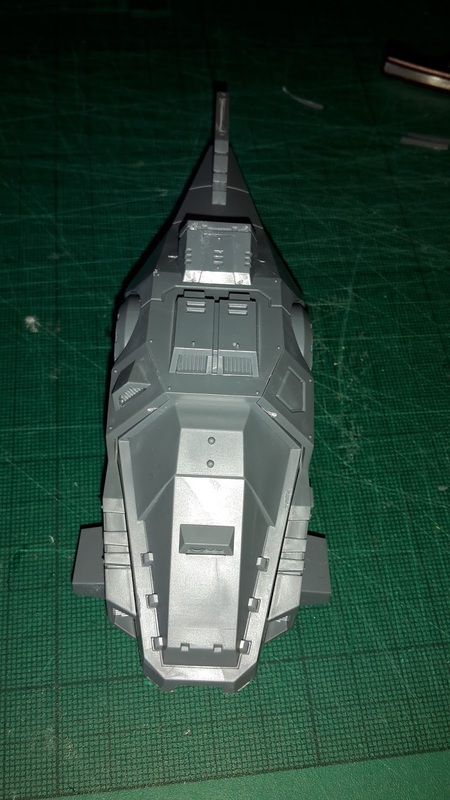 I began by assembling the main hull. The bottom tail of the rear of the hull was removed. The rear tail fin has been removed. 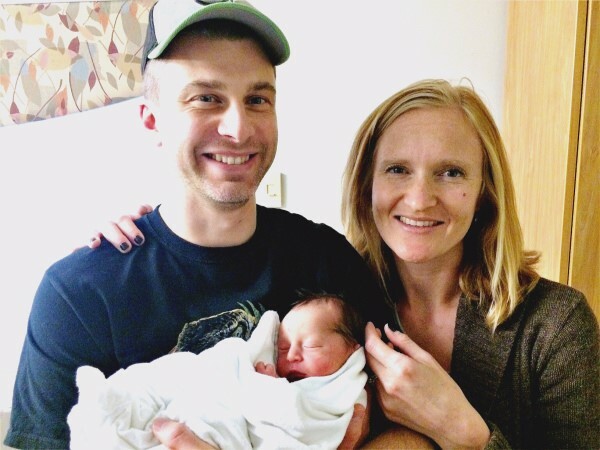 This week's Better Know a Blogger features Joe B from Broken Paintbrush. 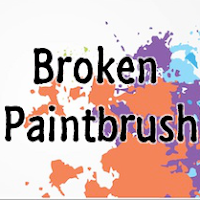 I had seen Broken Paintbrush pop up on the Faeit 212 blogroll from time to time, but had never got round to clicking on the link to see the impressive work going on there. 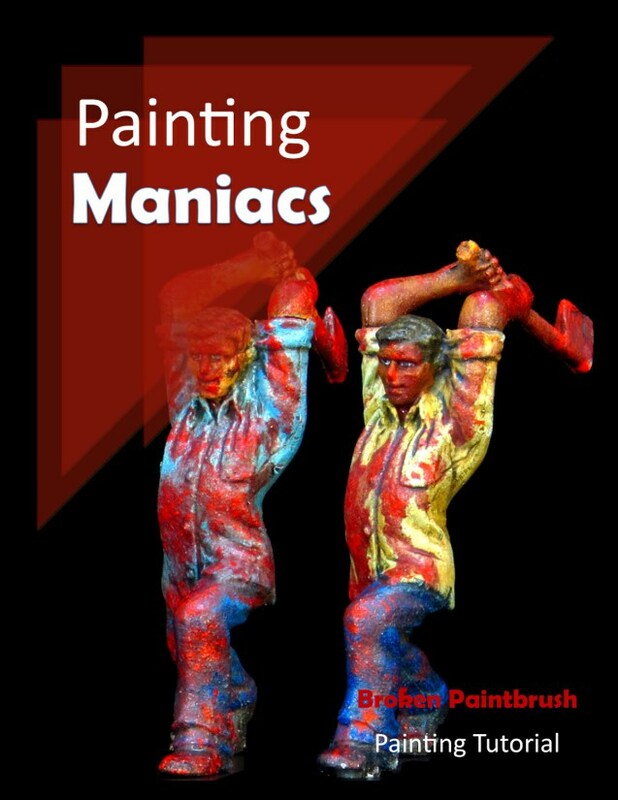 It wasn't until I started getting a heap of traffic from the blog one day that I ventured onto Broken Paintbrush to see what was going on. Turns out, one of my posts was featured in his "Good Reads" section (more on this below). I checked out the other "Good Reads" for that week and had a nosey around the site and began to see what I had been missing out on. As you may expect from a title such as Broken Paintbrush, Joe's blog very much focuses on the painting aspect of wargaming. 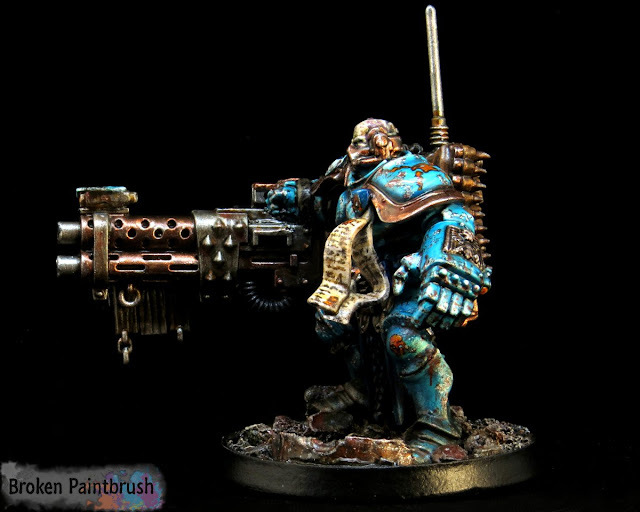 His blog features some amazing work and some in depth tutorials for painting a variety of models from different games systems. 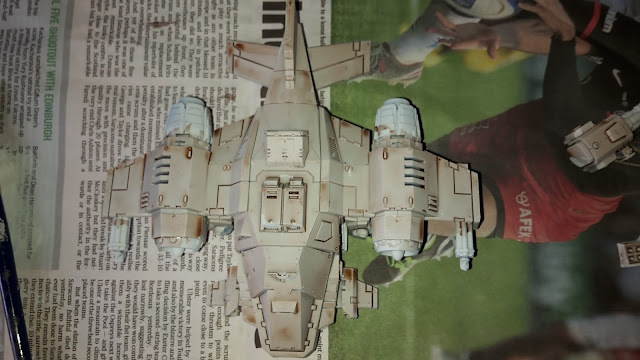 One of my favourites in on making custom banners for your Space Marine forces using the water transfers (most marine players will have dozens of these lying around doing nothing). As well as painting tutorials, he has some great other articles such as unboxings of miniatures and a tutorial on photo editing using GIMP (a free online editing tool and not some paint slave that Joe keeps in his basement. Or maybe he has one of them too, I'm not one to judge!). Another aspect of the blog that comes across brilliantly is his support of the online wargaming community. His "Good Reads" posts highlight several articles from other bloggers that he has come across over the last few months and wants to promote to a wider audience. Similar to Thor's Wargaming Bloggers Showcase, this is a great way to catch up on great blogging content that you may have missed or been completely unaware of. His "Watch This" series also highlights some great hobby videos that are online, generally focusing on tutorials for different painting or modelling techniques. 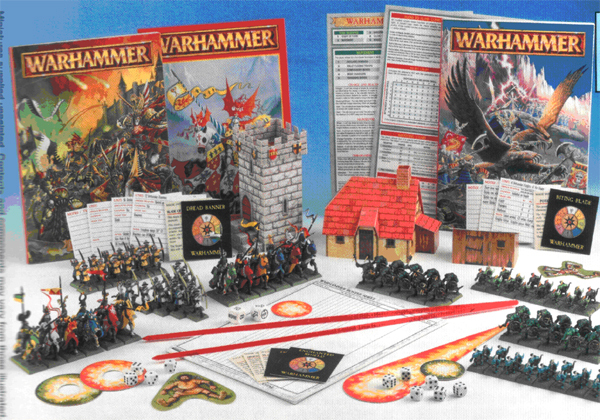 In middle school, one of my older buddies began to play Warhammer Fantasy and talked a few of us into joining in. I was able to talk my parents into getting the 5th edition starter set with the Brettonians (RIP brave knights) and Lizardmen. 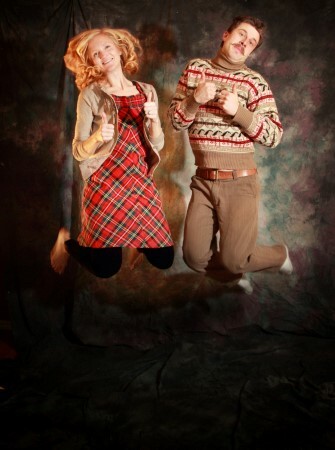 This started me off too- Mike. 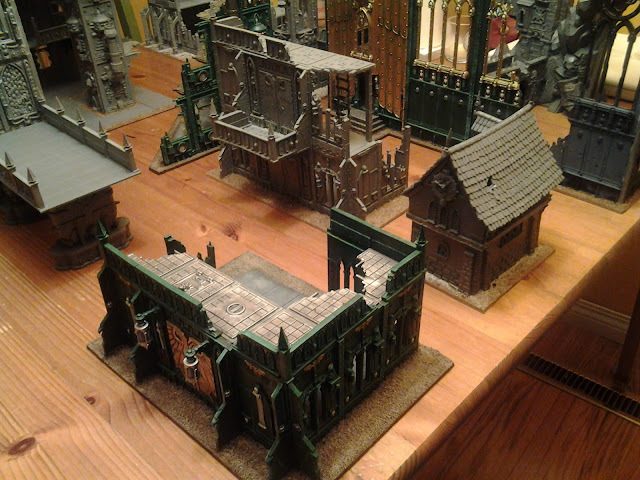 We spent many weekends pushing units around on the carpet floor with soda cans and books for the terrain. We eventually switched over to 40k with the launch of 3rd edition and of all the armies, the Iron Warriors caught my eye. Perhaps it was the simple painting tutorial in the 3rd edition codex (yeah, they used to have those in the codex!) that got me hooked, but the 14th Grand Company is still growing in my cabinet from those days. When college came, I had put the hobby away and even sold many of my original models. It wasn’t until after college that I got back in and started up the blog. This week, I have been continuing my work on my White Scars. 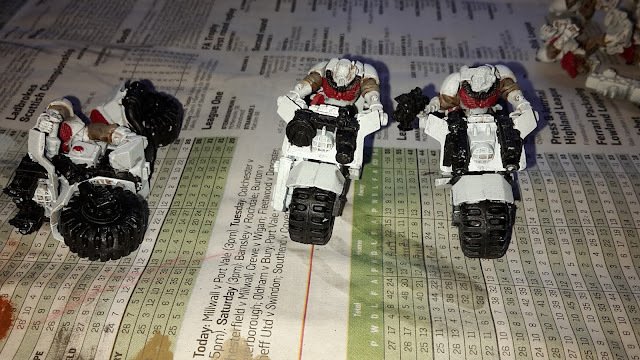 I have a unit of three Scout Bikers to finish for an upcoming tournament and also managed to complete some heavy bolter Devastators that have been sitting in my to-do pile for a long time now. 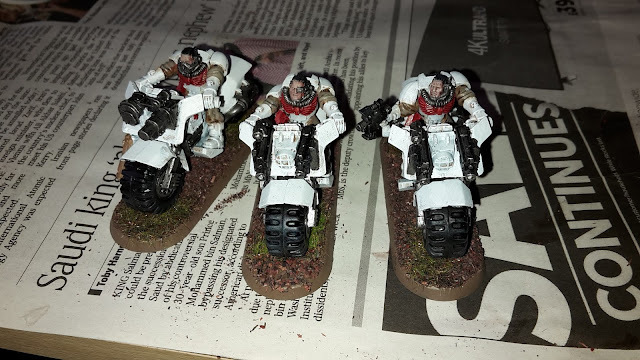 The Scout Bikers were painted to match the existing ones in my army and will form a unit of 6 Scout Bikers in an upcoming tournament list. 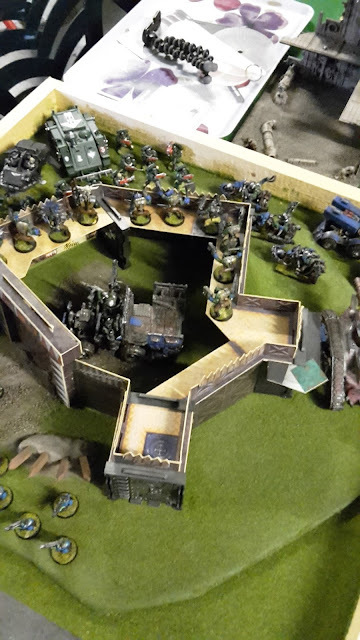 This week's battle report was my Friday night practice game before Double Trouble where my Orks and Tobias' Grey Knights took on Pete's Blood Angels and Dan's Chaos Daemons. We decided to play the first mission of Double Trouble, but some confusion regarding the rules meant that we had each player rolling for 3 maelstrom cards each turn rather than 3 per turn. The 6 maelstrom cards per turn, added to the fact we were rolling for them as we didn't have the cards meant a lot of note taking and re-rolls each turn (I am so glad that Alex supplies the Double Trouble cards for the tournament games!). My warlord trait was conqueror of Cities (Stealth Ruins and Move Through Cover Ruins). Last weekend, I was cleaning out the Batcave, the name affectionately given to my games room/spare room by my partner (also, that's where I keep my Batman costume. Not a joke), when I started to take stock of what I have left to paint for all my various armies and projects. Part of this was that I wanted to see what I had left to paint for my White Scars. In getting my units finished for Caledonian Revolution, I have actually been making quite good progress on getting some of my other units finished off that had been started ages ago that had gone neglected for a long time. 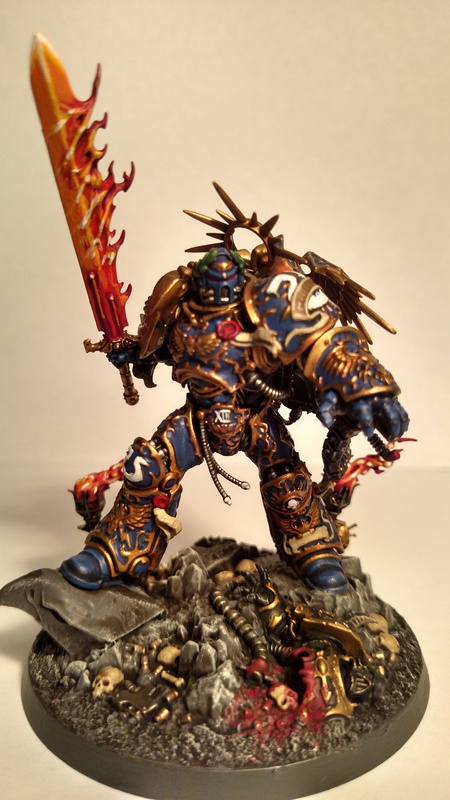 I am hoping that my hobby mojo keeps going once I have finished the tournament army, as I would like to get a lot of my armies finished (a crazy dream, I know!). I thought this list might help me keep track of what needs to be done and be of some interest to readers of the blog. So here is a list of most of the models that I have to paint across my various forces. 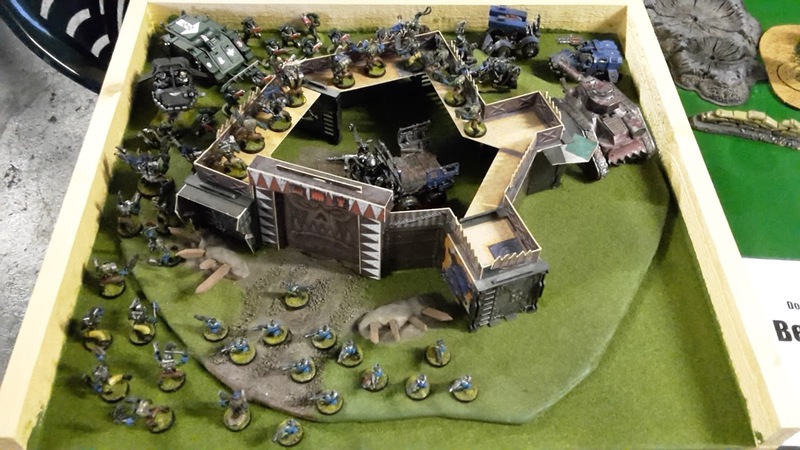 As is usual at one of Alex's events, Double Trouble featured a number of painting competitions. The quality of the entrants was as high as normal, with some fantastic models that the poor lighting and my photography skills will not give justice. 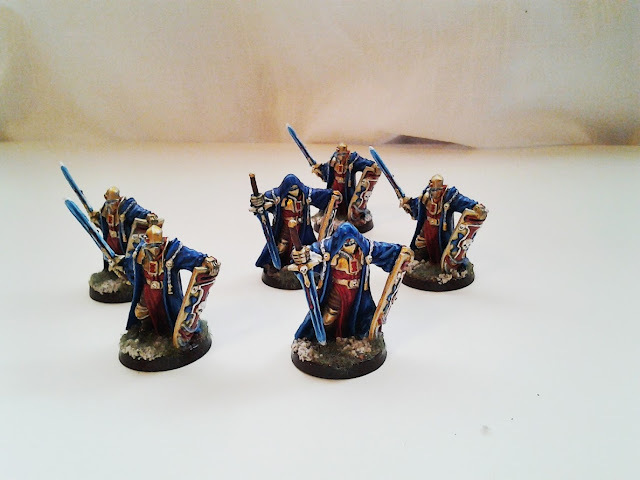 First up, we have the entrants for best army. 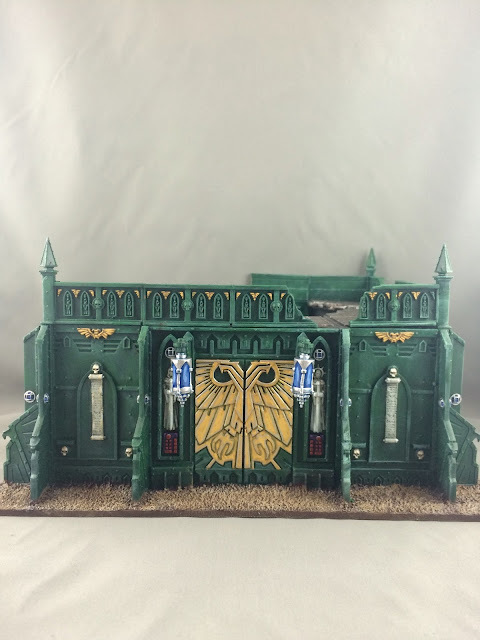 I entered my force in this simply to show off my old GorkaMorka fort, repurposed for 40k terrain, but with no illusions of actually getting any votes. The Dark Angels cowering at the back were the first 40k models that I ever painted. They were brought along as part of Luke's challenge to field your first models at Double Trouble. This week's Better Know a Blogger features Alexander from the blog "The Roost of Turkadactyl". 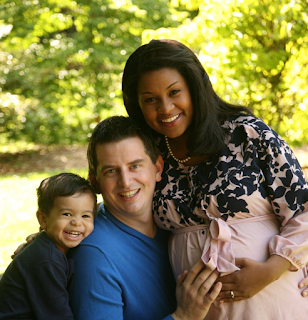 Unusually, Alex's blog started as a travel blog (more on this below), but has now progressed into a great 40k blog. I think I first became aware of Alex's blog when I saw the title appear on Faeit 212. It was such an unusual name that I decided to click on the link to see what it was all about. Fortunately, I was not disappointed! The Roost (as all the cools kids know it) features a lot of great content, including painting progress for Alex's many armies, reviews of new rules and books, a bloggers showcase and some fantastic narrative 40k battle reports. 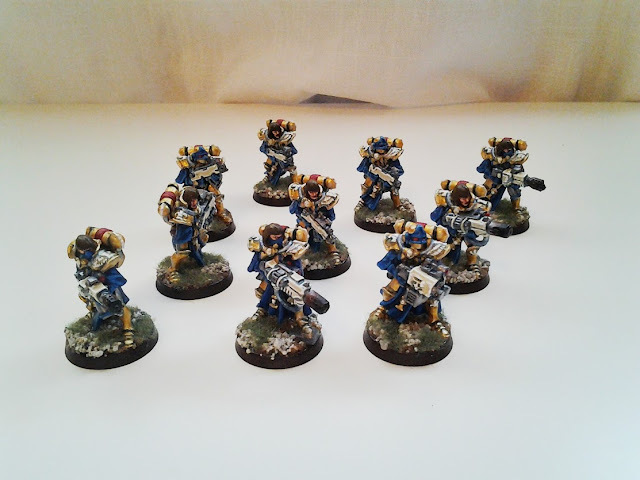 and his brilliant Space Marines, the Carcharodons. 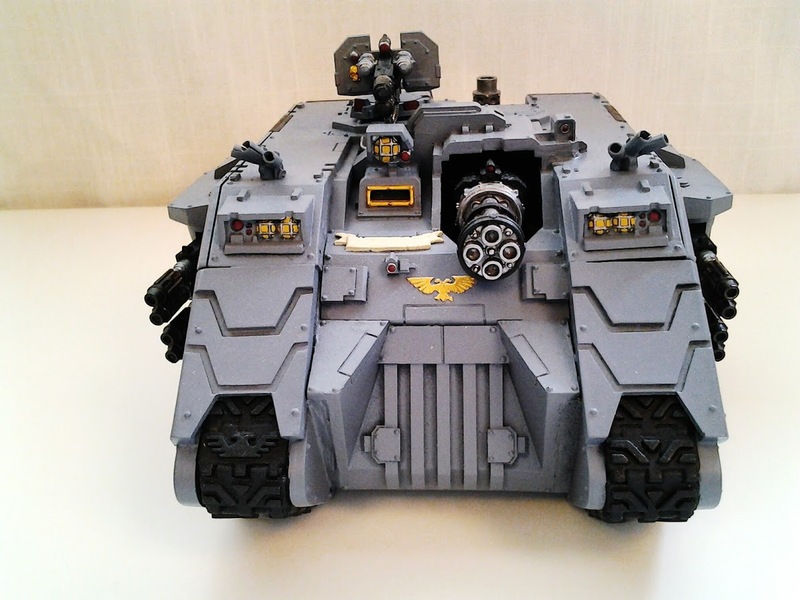 This chapter is primarily in grey armour and look very striking in the photos. 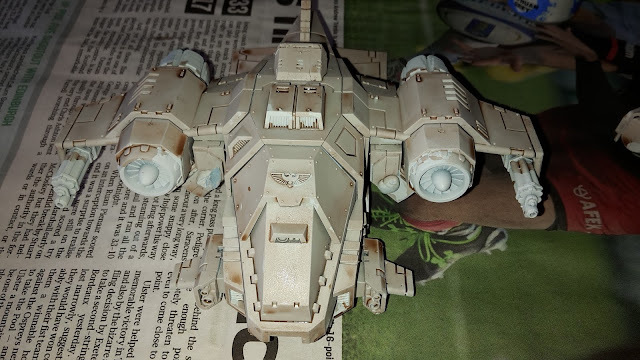 I really like the Land Raider and its crisp colour scheme and look. It is only a work in progress, but it already looks fantastic, I can't wait to see the finished product. 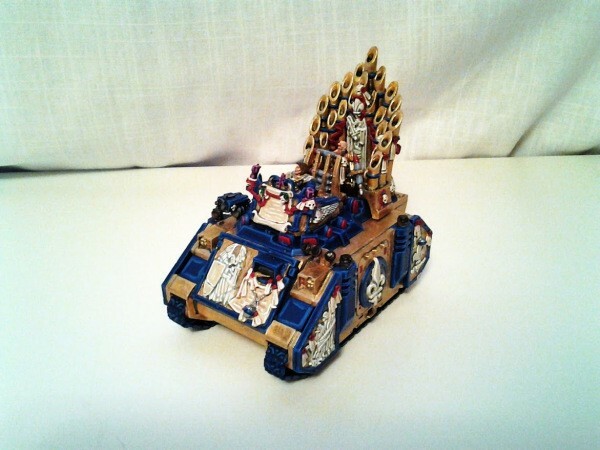 A recent post that was fun to read was on his favourite 40k memories. 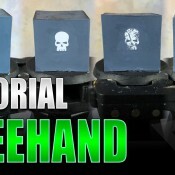 This is always a great topic to get involved in, as I find you don't remember the wins or the losses down the years, but it is the stand out moments of daring wins where your grots take down the enemy warlord or your terminators tank an insane number of wounds and actually behave like terminators should that stand out in your memory. 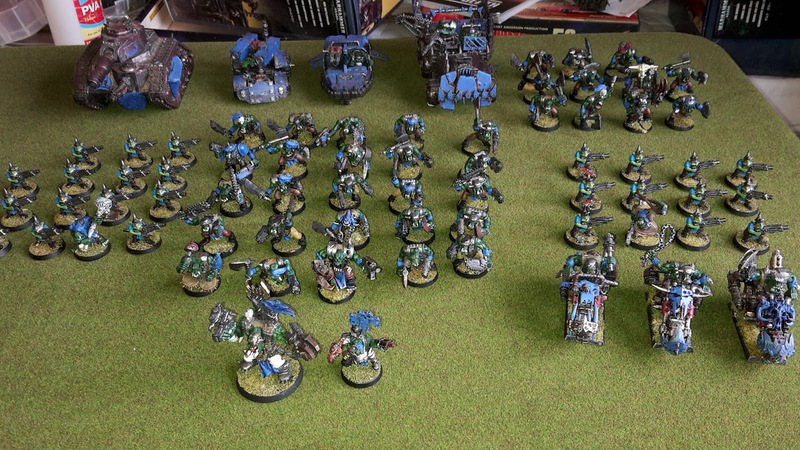 Check out his favourite 40k memories and add your own (Double Trouble added quite a few to my already extensive collection!). You will also find some great terrain on display on the blog, I'll let the images speak for themselves. One thing I am looking forward to is Alex's upcoming Badab War campaign. 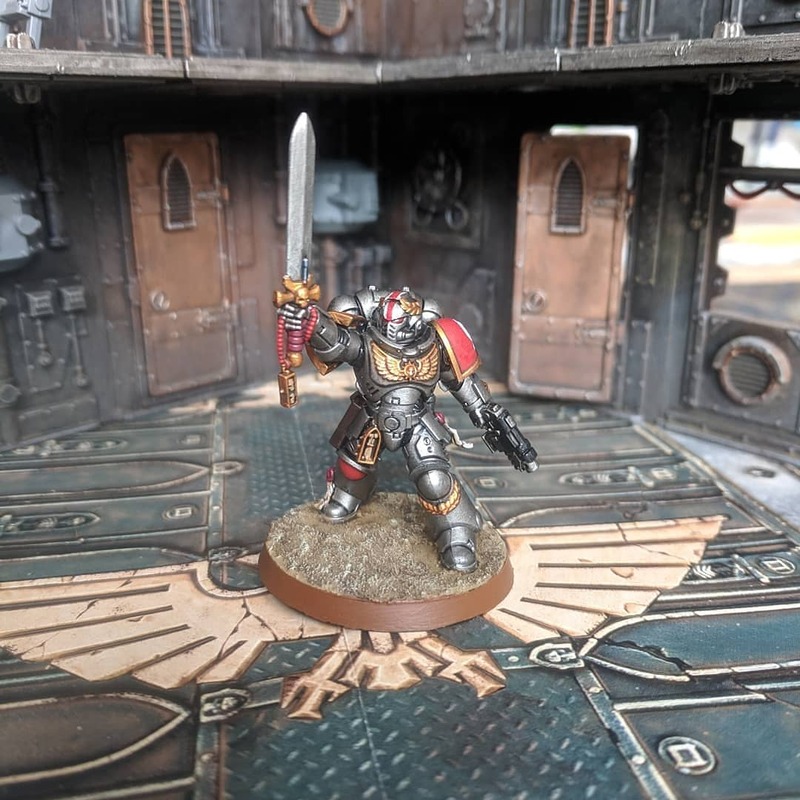 This looks to be a major 40k campaign primarily focused on Space Marines and should provide some great content and battle reports in the future. It's just a shame that I can't take part, but the commute is too much even for me! 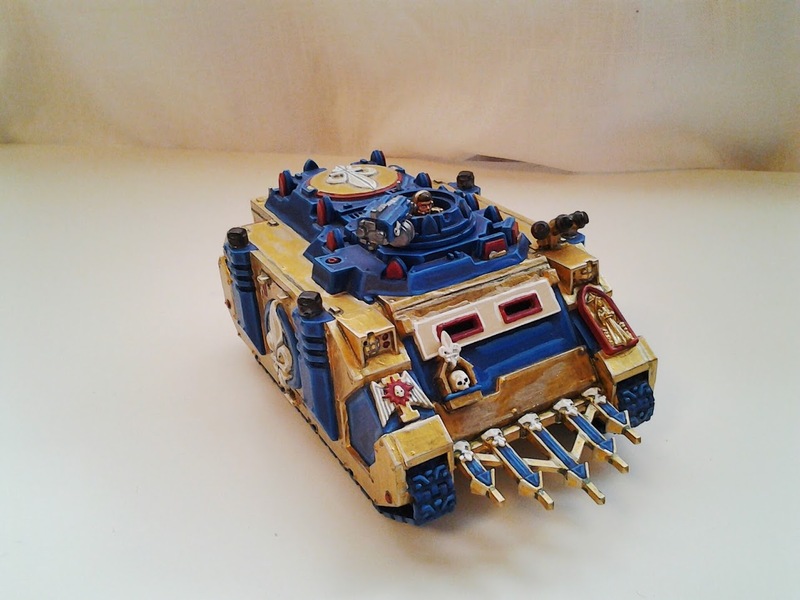 I started collecting 40K when I was 24 at the tail end of third edition. I guess I can be called a late bloomer. 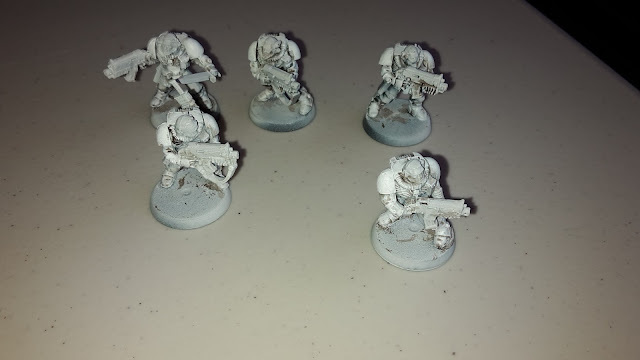 I was involved in youth work and I was asked if I wanted to help out a 40K group for youth. I looked into it, used some Jedi mind tricks on my wife (we were married for around six months) and I started a Witch Hunter army. There were some friends of mine were also playing so I had two groups I could game with. 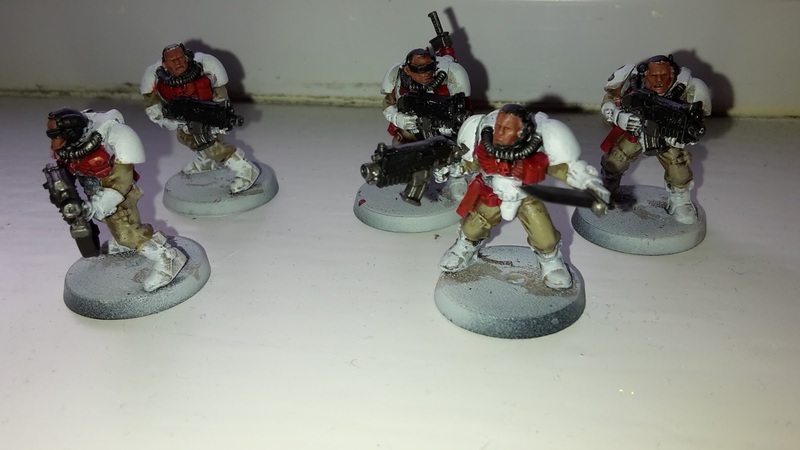 This week's hobby progress has been completing my second unit of Scouts required for the upcoming Caledonian Revolution tournament. These were painted in a similar fashion to my previous sniper scouts from last week. 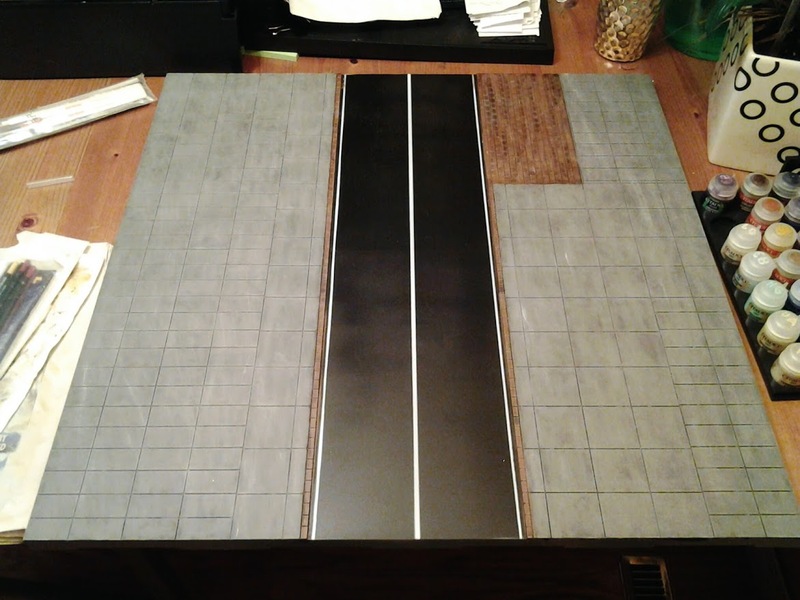 Turn 6 of the Medusa IV campaign kicked off a little while back, here are the moves for the first battle phase of the turn. Many of the players attempted to annexe the strategic buildings left by the Tau in their retreat from the sector. 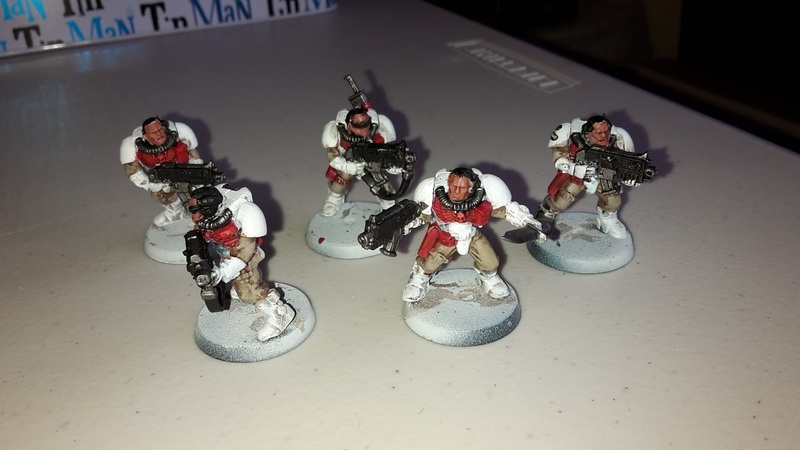 As is customary at the end of any tournament, I like to take a look at how my army performed and look at what worked well in the army and what could be improved. I am going to look at the individual units and see how they performed and where they could be improved. The Warboss was a close combat monster. Whatever he went up against generally died thanks to the power claw giving him S10 instant death attacks against most units in the game. He performed well in the third game, where his S10 attacks were able to instant death the Grotesques, making them much easier to deal with. The Waaagh ability was also useful, ensuring that I could always get a turn 2 charge off with most of my mobs and saving me from another turn of shooting. 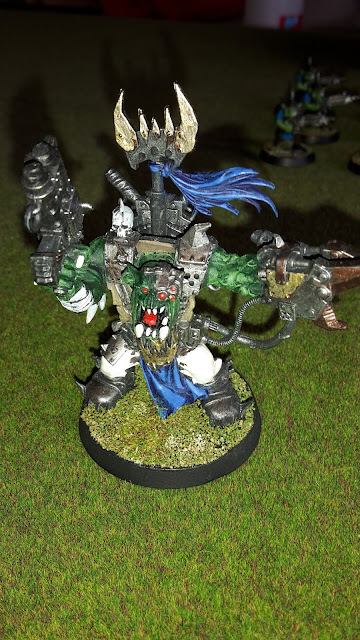 I would take the Warboss again. The final battle of the tournament saw my Orks teaming up with Matt and his Daemon army. 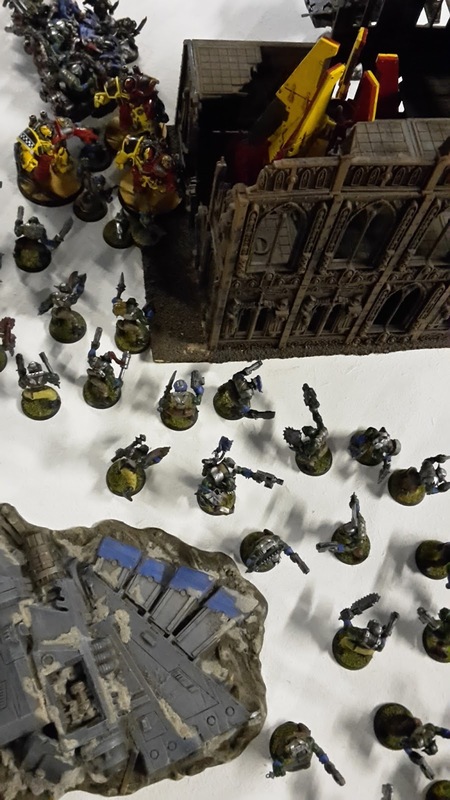 Our opponents were Luke and his Iron Hands Space Marines and Nathaniel (NafNaf from Objective Secured) and his amazing Dark Eldar Carnival army. Whatever happened in the fight, this was going to be a good looking battle! 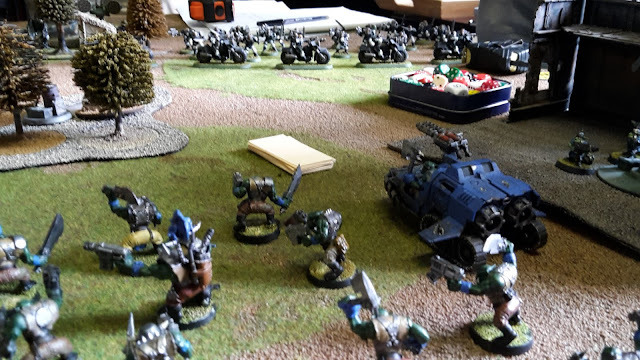 The second game of the Double Trouble tournament saw my Orks partnered with Hendrick and his Dark Angels. We would be facing Luke's Howling Griffons space marines (Luke of Darksun Life fame) and Steven with his Raven Guard (yay, more cover saves!). For my warlord trait, I rolled on the tactical table and got forward planning, allowing me to discard our first turn maelstrom cards to re-draw 3 new ones. His warlord trait was Courage of the Lion, giving the Dark Angels a Fearless bubble. His psyker got Hallucination and Psychic Shriek. 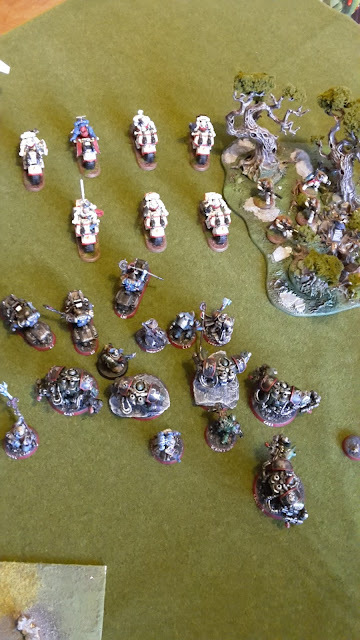 Welcome to my first battle report from the recent Double Trouble tournament that I attended at the start of June. Double Trouble was the first doubles tournament of its kind being run by Alex at From the Fang. I was a big fan of Alex's Blog Wars tournaments, they were a lot of fun with a great atmosphere and some really tough games to play. Double Trouble was a doubles tournament where each player would be paired with a different, random partner in each game, so no combined list building with a partner as you don't know who you will be playing with. This means you will meet 9 great players and should provide some fun and tactical games. 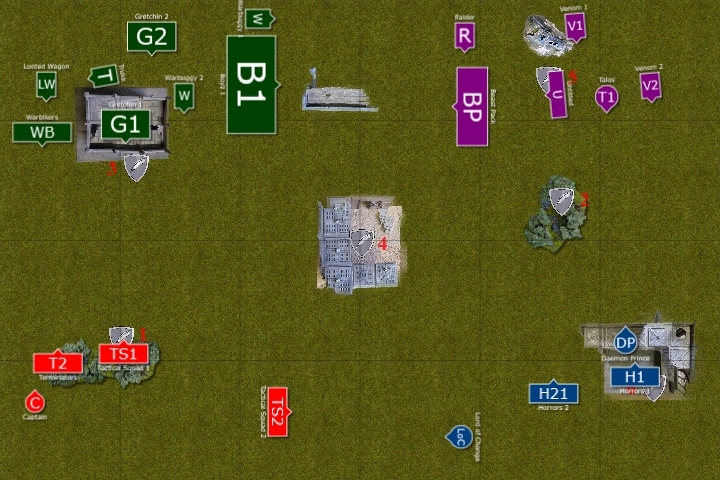 In addition, the missions were different from Blog Wars in that you scored both maelstrom points (from a modified maelstrom deck that rewarded risk and working with your partner) and blood points (essentially kill points, but based on victory points totals for units rather than number of units). I was looking forward to the event, both for the chance to meet up with some of the fantastic bloggers and players that I have gotten to know online and at Alex's events and for the chance to play in a fun and very different doubles event that I was used to. It was great meeting up with everyone I chat to online and those I have met before at Alex's events. 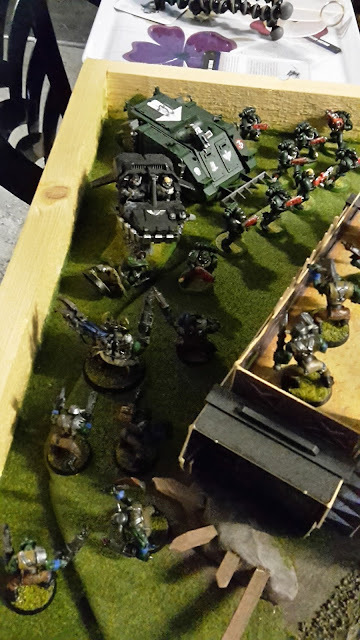 A big shout out to Alex for running the great event and to Luke (Darksun Life), Rob (30Kplus40K), Dave (40k addict) and Nathaniel (objective secured) who I got to chat with over the weekend- a great bunch of guys and a lot of fun to spend a day of 40k with. 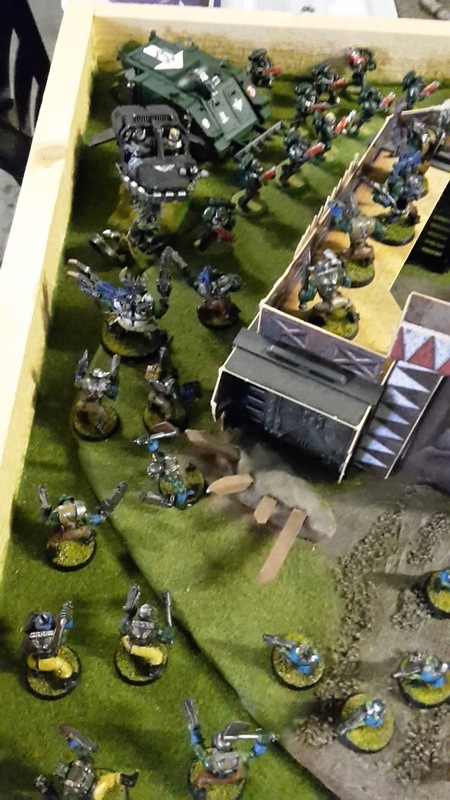 Based on community feedback, I decided to take my Orks to the event. 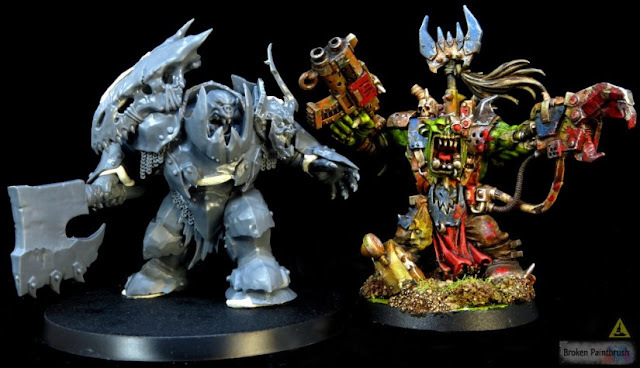 I would never normally dream of taking my Orks to a tournament, but I think Double Trouble would be the most forgiving for my greenskins. 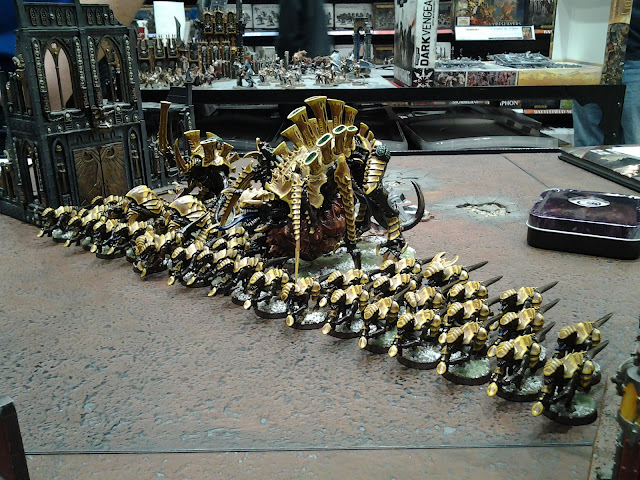 Given that about half the armies going were Marines, I was confident in outnumbering most opponents, maybe even having the largest army in the tournament (there was actually a Tyranids player with 74 models, just beating my Orks at 72!). I started the first game of the day on table 4, with the mission using Dawn of War deployment. 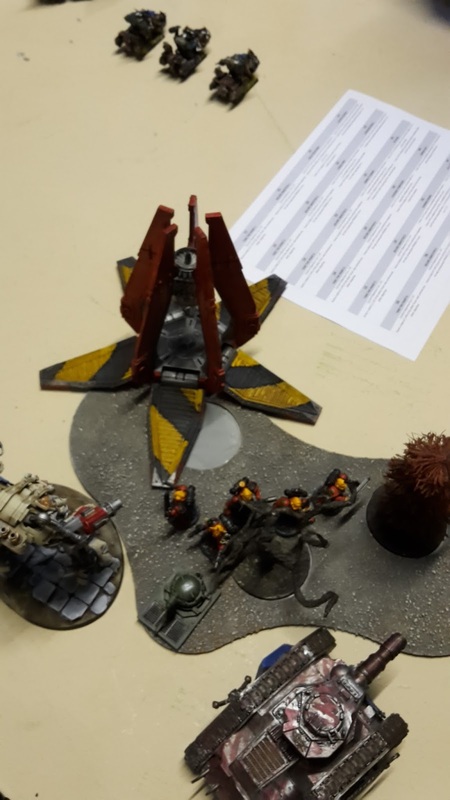 My partner for the first game was Tess and his Eldar. I actually played Tess in my second game at Blog Wars X, so it was nice to be on the same side with a great guy and great player. Our opponents for the first game were Dan and his Daemons and Ian with his Raven Guard Space Marines. My warlord trait gave me Strategic Genius (+1 to Seize and re-rolls on reserves). Better Know a Blogger- Results!